Abbey Heat Transfer Limited was established in 1983. We have over 5,000 square feet of factory space in Eastleigh, Hampshire, where we specialise in the repair and manufacture of marine and industrial heat exchangers as well as car, commercial and plant radiators, and other associated services. 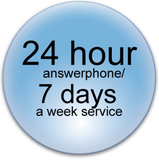 We pride ourselves on a rapid "turn-round" for urgent work and have a 24 hour answerphone with emergency contact numbers. We also have a pick-up and delivery service. NHS Hospitals in Hampshire, South Coast and the London area.